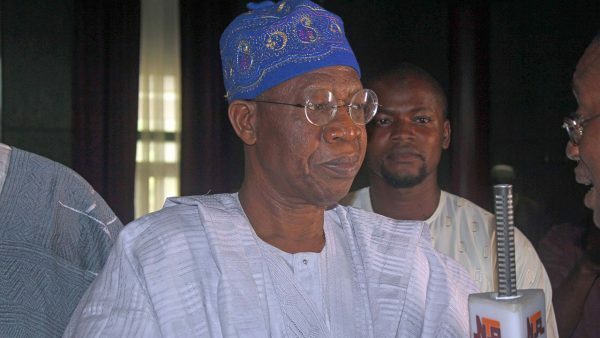 Lai Mohammed, Nigeria’s Minister of Information and Culture, has said the administration of President Muhammadu Buhari has performed well on most of its campaign promises and therefore, deserves a re-election in the forth-coming 2019 presidential elections. “He has rebranded governance, he has put the country on the path of sustainable growth and development, he is rebuilding infrastructure, implementing what can be described as the most ambitious social investment programme in the history of the nation, he is ensuring that a few fat cats do not loot the national resources, at the same time, he is ensuring that Nigeria is self-sufficient in many areas especially in food production. “Above all, he has brought honour and respect back to the country and at the same time, fighting all forms of insecurity. “We have put in place certain measures that have made it difficult for those who want to loo our resources to do so”. Mr Mohammed further stated that the anti-corruption war which was one of the three cardinal objectives of the government has been well executed. He cited some cases, noting that investigations are still ongoing and appropriate actions will be taken eventually. “In the case of the NHIS, Dr Usman Yusuf, the matter is being handled at the highest level. The government is on top the matter and in a very short while, we are going to find a resolution to it. The issue of Babachir, of course, he was fired. Not that alone, he is being investigated by the appropriate agencies. We are not going to micro-manage,” he said. The post [VIDEO] “Why President Buhari Deserves Re-election” – Lai Mohammed appeared first on LATEST NIGERIAN NEWS BREAKING HEADLINES NEWSPAPERS.